After having struggled through with various building blocks of OpenStack, Heat was a great relief. It's installation and integration was pretty smooth. One of the most helpful documents was this one. "The Orchestration service provides a template-based orchestration for describing a cloud application by running OpenStack API calls to generate running cloud applications." The templates enable you to create most OpenStack resource types, such as instances, floating IPs, volumes, security groups, users, and so on. Also, provides some more advanced functionality, such as instance high availability, instance auto-scaling, and nested stacks. By providing very tight integration with other OpenStack core projects, all OpenStack core projects could receive a larger user base. 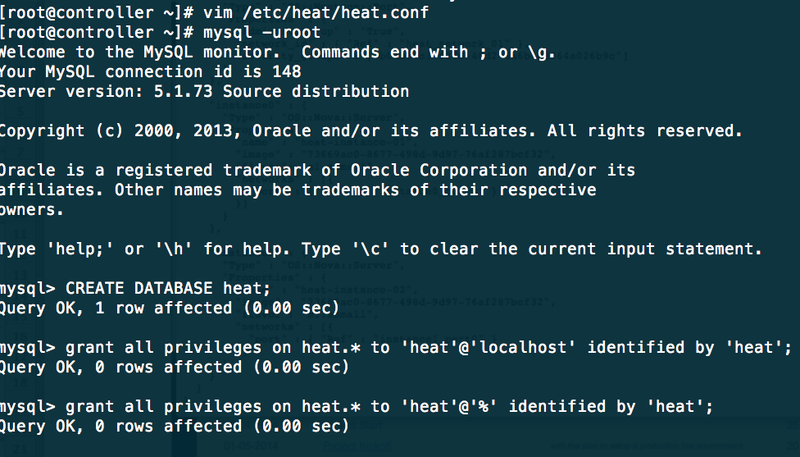 heat command-line client. A CLI that communicates with the heat-api to run AWS CloudFormation APIs. End developers could also use the Orchestration REST API directly. heat-api component. 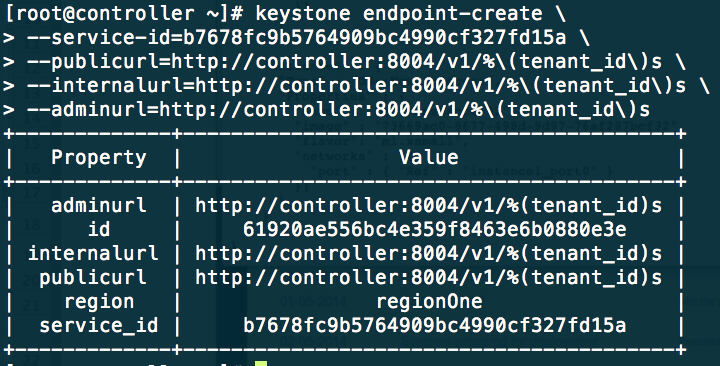 Provides an OpenStack-native REST API that processes API requests by sending them to the heat-engine over RPC. 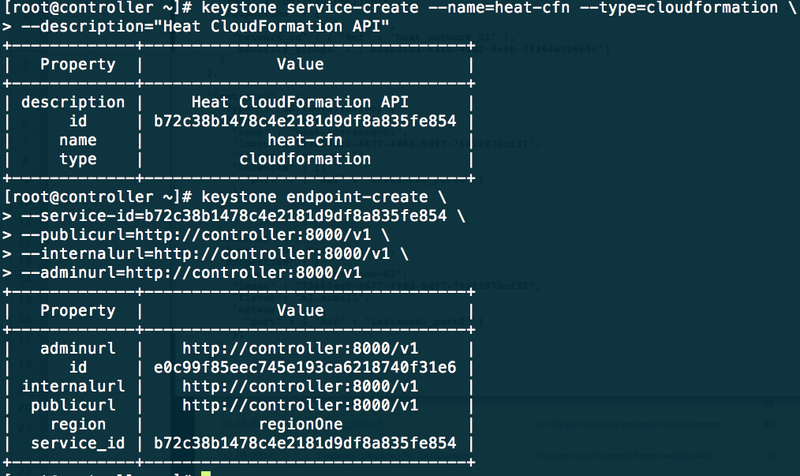 heat-api-cfn component. Provides an AWS Query API that is compatible with AWS CloudFormation and processes API requests by sending them to the heat-engine over RPC. heat-engine. Orchestrates the launching of templates and provides events back to the API consumer. Going into the database to create the heat database and give it the privileges. there are some DeprecationWarning errors, which can be ignored. /usr/lib64/python2.6/site-packages/SQLAlchemy-0.7.8-py2.6-linux-x86_64.egg/sqlalchemy/pool.py:683: SADeprecationWarning: The 'listeners' argument to Pool (and create_engine()) is deprecated. Use event.listen(). 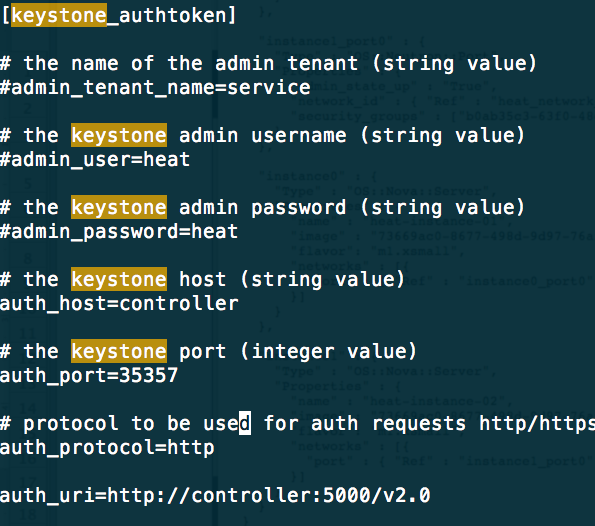 now registering the heat and cloudformations API with keystone so that other openstack services can locate these APIs. Now starting all these services and ensuring that they will start in case of a reboot. Hello world HOT template that just defines a single compute instance. Contains just base features to verify base HOT support. # Use an AWS resource type since this exists; so why use other name here? And run the following command to check if all is well on the template file that is being fed. heat stack-update mystack --template-file=hello_world.yaml --parameters="KeyName=mykey;InstanceType=m1.large;ImageId=4e443a9c-40d7-4700-8fd4-6ef42e4e3792"
heat stack-create mystack --template-file=hello_world.yaml --parameters="KeyName=mykey;InstanceType=m1.small;ImageId=4e443a9c-40d7-4700-8fd4-6ef42e4e3792"